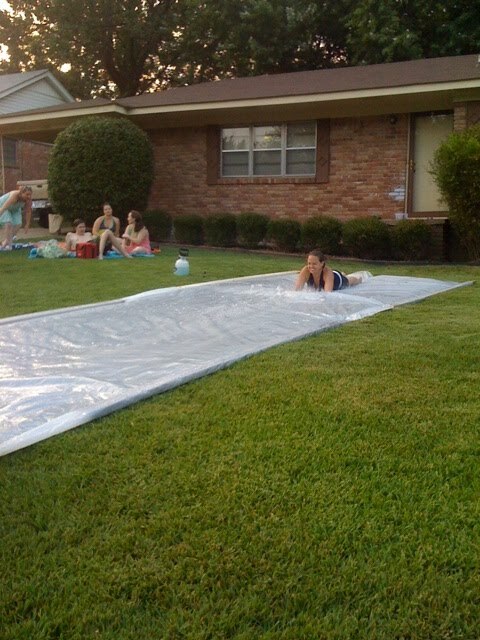 I didn't put a post up about the 4th of July but we did make the annual slip and slide HAPPEN. Well, I should say that Karl made it happen whilst I sat around bitching about how redneck an adult slip and slide is in your front yard and why do you insist on doing this every year and on and on and on until the tarp is all soppy and covered in dishsoap and the next thing I know I am diving headfirst down it like a 12 year old. Eventually, everyone will participate and there will be brackets! Winners and Losers....er Consolation Brackets! 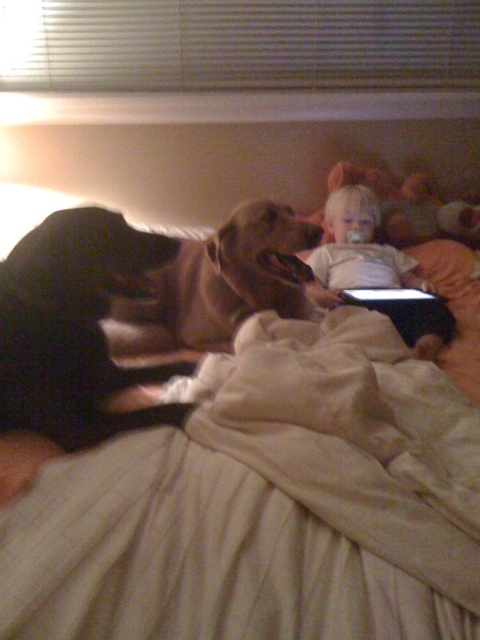 I'm jealous--that looks like so much fun! yes, but where's the pick-em-up hot tub? NOWHERE TO BE FOUND. You guys seem to be missing a pool in your front yard.....above ground! But your slide looks like tons of fun, at least its portable! So fun...and yes, quite redneck too. But I think Karl is correct in pressing on with the tradition. Nothing says summertime and American independence like the slip and slide. Well, maybe the hula-hoop.